Whether you are entering a new market for sales, or you are looking to expand your current market, there is one incredibly necessary factor for success: doctors. No matter how great your product is, or how much you practice your sales pitch, it can all be useless if you don’t have anyone to market to. With general web searches, it can be difficult to locate physicians in the field, and even when you do find them, it might be difficult to know enough facts to effectively market to them. That is why many researchers and sales representatives are choosing to use an Ontario Doctors Directory when looking for medical professionals. 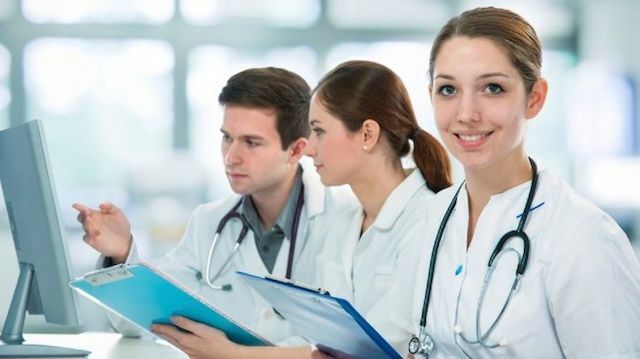 There are many benefits to avoiding the general web searches, and instead, seeking accurate information by choosing to use the Calgary Doctors directory for your medical research and marketing needs. The medical field is constantly changing. Physicians are constantly coming and leaving a practice, as well as achieving more recognition and certifications that should be recognized. The practices are not always diligent in updating their websites with these changes. When you seek a physician from a Canadian doctors directory, you can rest assured that you are getting up-to-date information on both the doctor and the practice. In the world of medical sales, arriving at an office in order to pitch your product can be overwhelming. It is hard to know exactly what to expect, or even how to gear your pitch. Some representatives feel much more confident in these situations when they know more about the physician that they are meeting with. The Calgary Doctors directory will provide information on every doctor in the directory from education to experience so you can have a better idea of who you will be meeting with. One of the largest benefits of using a directory for your research is the convenience and time-saving factor of it. Researching all the doctors in the field around your area can be tedious and time-consuming. This research can also turn up incredibly inaccurate. The web is a large platform, and the results can all be extremely spread out. The Canadian doctors directory will provide any information you need on one useful and organized page. You will be able to see what prescriptions the doctor has written before to understand if their practice would even benefit from the product you are trying to promote. This can save you the time-wasting efforts of marketing to physicians who would have no interest in your product. Medical marketing research and sales is a precise and tedious field. Time is money, and there is not a lot of either to waste. This is why there is a directory option available that will provide the necessary information at the touch of your fingertips. Utilize this research to find the best medical options for your unique condition.